Welcome to the Georgia Department of Agriculture's honey bee (and native pollinating insects) website! The purpose of this webpage is to increase awareness of how import honey bees and native insect pollinators are to each of us. Nearly one-third of our food depends on insects for pollination? 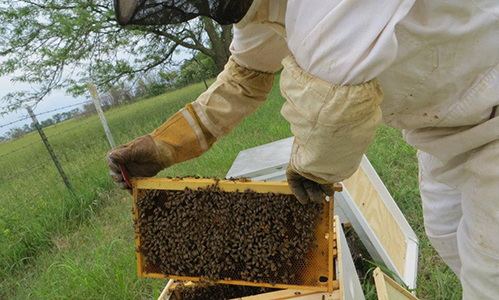 Honey bees contribute over $14 billion to the value of U.S. crop production. California, Georgia, and Texas are the top 3 states in producing honey bees and queen bees for sale? Bees must visit 2 million flowers in order to produce 1 pound of honey. An average worker bee only makes about one-twelfth (1/12) of teaspoon of honey in her lifetime.